Went out yesterday with my neighbor to hunt for crappie but to no avail. We turned our hunt for smallmouth in Gunsite Canyon and found our fish at 40′ off the points. Are last approach where we hunted for suspended stripers along the channel edge where you graph the contour of the drop off to 40-100′. Stripers hit the Deep Dive shad raps on a 5mps fast troll. We landed 6 fish all between 2-5 lbs. Winter fishing can be productive you just have to change your tactics. 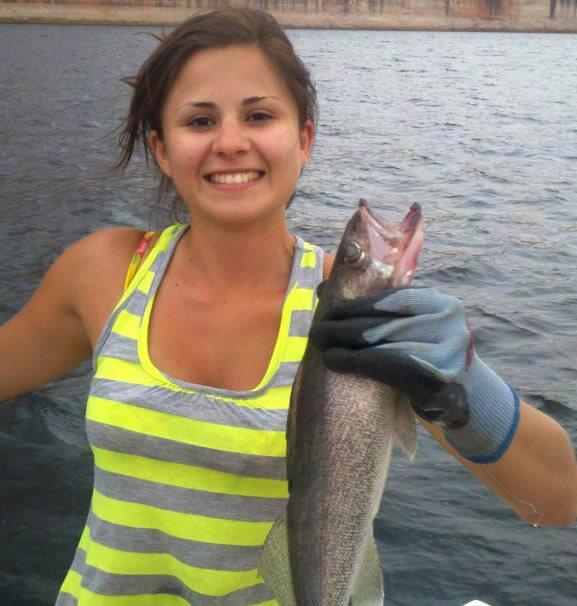 *Book before January 1, 2016 for 1 full day and get a $25.00 discount 1-2 Anglers Only. *Book a 2 day trip and get a $50.00 discount and book for Spring or Fall 2016 Anglers 1-2 anglers only.